Tom Fritz’ multiple graded-stakes winning Arabian-bred Quick and Rich tops eight rivals as he hopes to defend his title in Saturday’s $100,000 President of the UAE Cup (GI) at Churchill Downs. 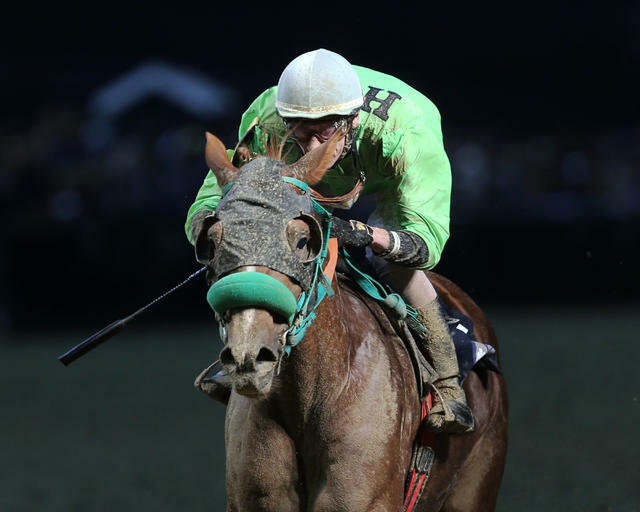 The 1 1/16-mile race for purebred Arabian 4-years-olds and up – the world’s most ancient breed of equines – is carded as Race 10 at 10:42 p.m. (all times Eastern). This year’s edition marks the sixth time the race will be held beneath Churchill Downs’ historic Twin Spires. Also on the 11-race card is the $200,000 Lukas Classic (GIII), $100,000 Ack Ack (GIII) and $100,000 Jefferson Cup (Listed). Quick and Rich (31-7-8-3—$213,665), trained by Lynn Ashby, scored a shocking 19-1 upset in last year’s President of the UAE Cup over heavy favorites Easter Man and Paddys Day. Most recently, the 8-year-old son of TH Richie was narrowly defeated by Quick Sand AA in the Delaware Classic Handicap (GI). Joe Rocco Jr. has the call on Quick and Rich who will break from post position No. 2. Joining Quick and Rich in the starting gate is stablemate Uptown Sandy Girl (14-8-3-0—$125,470), who has won four-straight races by a combined margin of 50 lengths. The 4-year-old filly by Burning Sand has won three graded-stakes races in her 14-race career and most-recently scored a 5 ¾-length dominating win in the Buzz Brauniger Arabian Distaff Handicap (GI) at Delaware Park. Uptown Sandy Girl will be ridden by Corey Lanerie and break from post 5. Breaking from just inside of Quick and Rich in the starting gate is multiple Grade I-winner Quick Sand AA (22-10-3-7—$203,191). The 5-year-old son of Burning Sand will be in search of his fifth-consecutive victory for owners Betty and Joseph Gillis and trainer Jerenesto Torrez. Jockey Sasha Risenhoover has the call on the Mississippi-bred Arabian. The complete field for the President of the UAE Cup in order of post position (with jockey and trainer): Quick Sand AA (Risenhoover, Torrez); Quick and Rich (Rocco, Ashby); Burn Notice MC (Carlos Esquillin, Wallace Neilson); Easter Man (Keiber Coa, Torrez); Uptown Sandy Girl (Lanerie, Ashby); Mystical MHF (Ryan Powell, Simon Hobson); RB Hocus Pocus (Ty Kennedy, Hobson); and Madjikman (Shaun Bridgmohan, Fenneka Bentley).